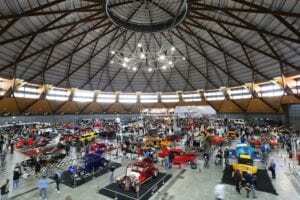 Meguiar’s MotorEx is Australia’s favourite automotive spectacle. It’s like no other, featuring the wildest collection of jaw dropping hot rods, street machines and muscle cars plus the amazing Liqui-Moly Performance Garage, a world full of the aftermarket, performance and racing industries. The Australian automotive aftermarket industry is an active community of high-quality and internationally renowned product suppliers, manufacturers and service providers. Meguiar’s MotorEx, Sydney 2017 is bringing together the best-of-the-best under ‘The Dome’ at Sydney Olympic Park, for what is guaranteed to be a spectacular Liqui-Moly Performance Garage. The sprawling hall will be a colourful mix of exhibitors, providing serious enthusiasts a smorgasbord of mouth-watering modification and personalisation options for their own vehicles. The latest high performance parts, expert advice and technical information all come together in one place. Making it the easiest way to plan your current project, or provide inspiration for the next. From top fabricators, tuners and refinishers, to engine and driveline specialists, the best brands will be offering supercharger and turbo kits, engine, clutch and transmission components, lubricants, exhaust, electronics and brake packages, along with paint, suspension, audio, wheels ‘n’ tyres, plus much, much more! If you are looking to engage an automotive service business to help with your pride and joy, look no further with custom shops, metal polishing, trimming, mechanical, insurance providers, automotive photography and many other services on hand to discuss your individual requirements, with live demonstrations adding to the incredible vibe. Alongside the best the automotive aftermarket has to offer, Liqui-Moly Performance Garage is also hosting a breathtaking array of race-bred machinery, from ballistic GT3 racers, circuit champions, drag racing heroes, burnout weapons and everything in between. High-octane aficionado’s will have the chance to marvel at, and explore these specialised machines up close and personal. There will also be motorsport stars making appearances throughout the weekend. Automotive paraphernalia will be another well catered for area to enjoy and will include memorabilia, collectibles, model cars, video games and a variety of specialist automotive publications. “For serious car enthusiasts, a visit to the Liqui-Moly Performance Garage is like being a kid let loose in a lolly shop,” said Managing Director of MotorActive/Meguiar’s MotorEx, Bruce Morrison. Although a definite Meguiar’s MotorEx highlight, the Liqui-Moly Performance Garage is only one component of a massive, feature packed show catering to all automotive persuasions. Standouts include; Meguiar’s Superstars – the biggest gathering of the country’s best super elite machinery. On Saturday morning, the silk covers come off a collection of never-seen-before block-buster creations during the famous House of Kolor Inauguration. If that’s not enough, Muscle Car Mania will feature a huge celebration of Camaro’s 50th birthday and the 60th anniversary of the legendary 1957 Chevrolet. If you are Car Crazy, you will go crazy with enjoyment at Meguiar’s MotorEx, while joining more than 25,000 other enthusiasts for a weekend to remember and an automotive extravaganza like no other. 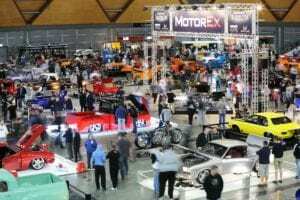 Meguiar’s MotorEx Sydney takes place July 22-23. To find out more and to purchase tickets online so you avoid the queues, head to: www.motorex.com.au. Editor: I am really looking forward to the return to Sydney of MotorEx. See you there!